It didn’t take long for the music world to grab hold of the British pop sensation Ed Sheeran. Sheeran, who captivated audiences in masses with his song “A Team,” is back again debuting his second studio album. With the hit single “A Team,” Sheeran dominated the airwaves and won multiple awards including countless breakthrough artist awards and best male artist awards, all just within his first two years. 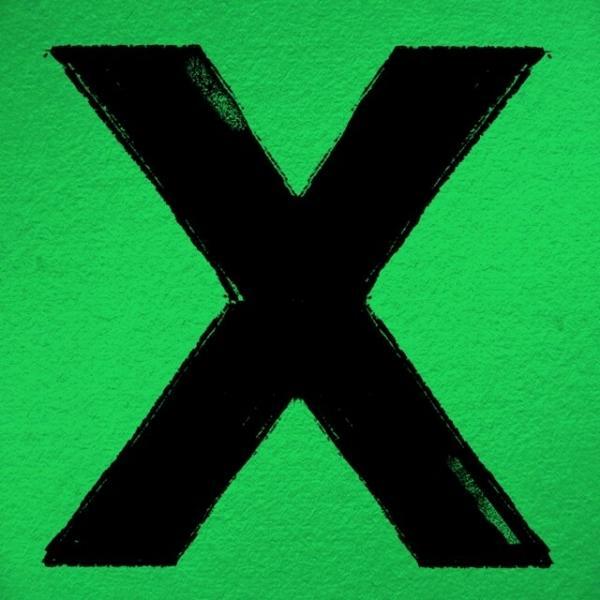 Albumn artwork of Ed Sheeran’s new CD, “X”. “X” (pronounced “multiply”) was released on June 20 following his highly successful first album “+” (pronounced as “plus”) that was released in 2011. Sheeran released a deluxe edition of “X” featuring a selection of songs not published on the original album, which include “Shirtsleeves,” “Take It Back,” “Even My Dad Does Sometimes” and “I See Fire.” The album’s songs vary from one another by the broad use of instruments such as acoustic and electric guitar, piano, violin, cello, keyboard and more. Along with having body-moving songs with an upbeat tempo that mainly put the attention on the instrumental tracks of the song, there are slower songs off the album that are vocally centered, allowing listeners to hear Sheeran’s passion and feel for his lyrics. Not straying far away from the sound of “+,” Sheeran used the same type of music style in both albums. Some of the songs favored by fans on iTunes include: “Sing,” “Don’t,” “Thinking Out Loud” and “One.” Peaking at No.13, “Sing” recently made an appearance on the Billboard Hot 100 chart. “Afire Love” is soulful, indie pop, whereas “Thinking Out Loud” resembles a R&B acoustic love song that makes one almost picture themselves at a coffee shop on a rainy day while listening to it. “Don’t,” which is one of the more popular songs on the album to date, has a very similar sound to songs off of Sheeran’s “+” album “Drunk” and “Grade 8” because of the comparable bass. “Bloodstream,” “Thinking Out Loud,” “Sing” and “I’m a Mess” are some of the top songs on the album because they capture the different varieties of Sheeran’s rejuvenating talent. Carrying a strong beat, “Bloodstream” compliments the lyrics about Sheeran being broken hearted and not wanting to be alone, as he fills his void by drinking. The song is not the most popular, however it is worth a listen. “Sing” is an upbeat and lively song about a blazing love, which is shared for a girl. The tempo of the song is brisk and sounds similar to an acoustic rapping, which makes this song rare and original. It might of been nice to hear collaborations with other artist on this album, which also was not heard on “+.” Sheeran however makes up for the lack of collaborations on the album with the contrasting songs the album provides. Sheeran will launch into a North American Tour starting August 21 in Seattle. His fall tour will be making its Michigan stop at the Palace of Auburn Hills on September 17. For more information, go to http://www.edsheeran.com/splash/x-buy-us.